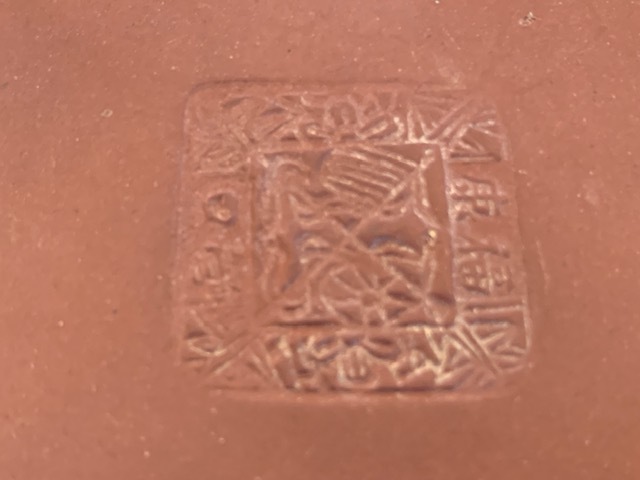 Can anyone shed light on the mark on this Yixing teapot? It looks like 2 flags in the center...Possibly an American & Japanese flag?? Thanks for any help!!! 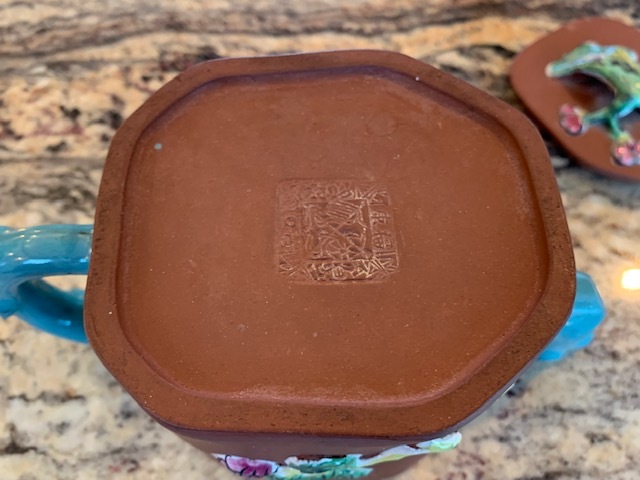 Boccaro ware mark from Yixing. 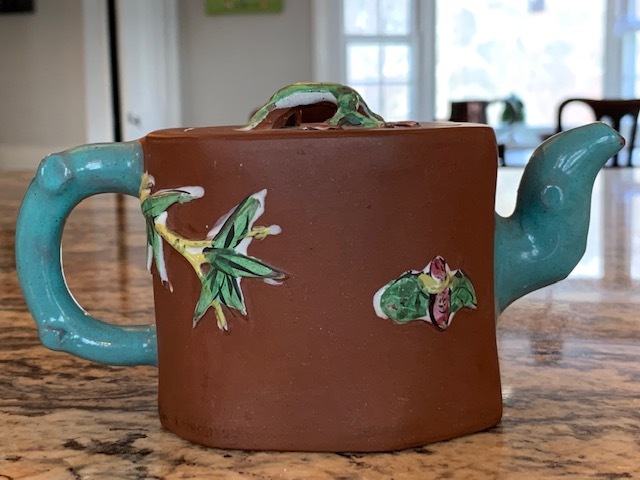 Fukang pottery has stores in Shanghai, Yingkou and other Chinese cities.